In 2002, Alain Moueix took over managing Chateau Moulin du Cadet. This was a changing of the guard, as the previous generation had been in charge of the property since 1989. One of the first, and surely most important decisions made by Alain Moueix was to change their vineyard management techniques. In 1991, the estate underwent a complete renovation of their wine making facilities. Starting in 2002, Chateau Moulin du Cadet has been farmed 100% with organic methods. 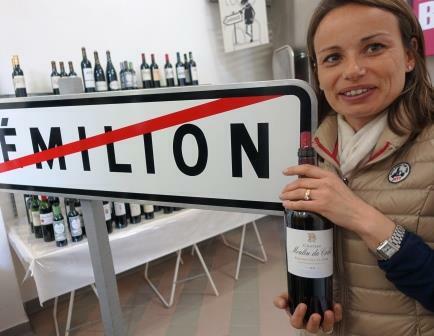 They were one of the first vineyards in Bordeaux to begin using organic farming methods. Their vineyards earned Agrocert certification, meaning they are 100% completely organic. In 1996, some of the plots of the Saint Emilion vineyard of Chateau Moulin du Cadet began to be bio-dynamically farmed. Starting with the 2005 vintage, it became the standard practice here to use biodynamic methods for their entire Bordeaux wine vineyard. Chateau Moulin du Cadet was managed by Alain Moueix, who also ran Chateau Fonroque. In 2015, Chateau Moulin du Cadet was sold to the Lefevere family, the owners of Chateau Sansonnet, Chateau SoutardCadet and Chateau Harmonie. The property is now managed by Marie-Benedicte Lefevere. Jean Luc Thunevin of Valandraud is their consultant. The small, 2.85 hectare vineyard of Chateau Moulin du Cadet is planted to 100% Merlot. The terroir consists of limestone, clay and sandy soils. On average, the vines are maintained at about 35 years of age. Chateau Moulin du Cadet farmed using 100% biodynamic farming methods. In fact, Chateau Moulin du Cadet became one of the first Right Bank vineyards to have also earned the Biodyvin Ecocert certificate. To produce the wine of Chateau Moulin du Cadet, vinification takes place in traditional, temperature controlled, square shaped, cement vats. Malolactic fermentation takes place in French oak barrels. The wine is aged in 50% new, French oak barrels for between 12 to 18 months before bottling. On average, less than 1,500 cases of Bordeaux wine per year are produced at Chateau Moulin du Cadet. Chateau Moulin du Cadet needs some time before it can be enjoyed. Young vintages can be decanted for an average of 1 hour or more. This allows the wine to soften and open its perfume. Older vintages might need very little decanting, just enough to remove the sediment. Chateau Moulin du Cadet is usually better with at least 4-6 years of bottle age. Of course that can vary slightly, depending on the vintage character. Chateau Moulin du Cadet offers its best drinking and should reach peak maturity between 4-22 years of age after the vintage. Chateau Moulin du Cadet is best served at 15.5 degrees Celsius, 60 degrees Fahrenheit. The cool, almost cellar temperature gives the wine more freshness and lift. Chateau Moulin du Cadet is best paired with all types of classic meat dishes, veal, pork, beef, lamb, duck, game, roast chicken, roasted, braised and grilled dishes. Chateau Moulin du Cadet is also good when matched with Asian dishes, rich fish courses like tuna, mushrooms and pasta. For the second year in a row this is a winner! Espresso bean, licorice, black cherry liqueur notes are just the beginning. Lusciously textured, sweet, ripe fruit, supple, sumptuous and plush on the palate, the wine offers spice and freshness in the finish. The debut vintage gets things off to a good start. The wine is sweet, juicy and lush. The dark red fruits are ripe, with silky, soft textures. The finish is round, with length and the finish is loaded with juicy berries, with licorice and cocoa in the finish. The first vintage for the new owners, the Lefevere family is a big step-up in quality. With a tradewind of lush, ripe, dark berries, licorice, oak, round textures and minerality, this wine delivers sweet, ripe fruits from start to finish. Medium bodied, firm, bright and with a crisp bite to the juicy red fruit, I liked the earthy aromatics better than the classically styled, red berry palate. Lighter, early drinking style of wine, with a crisp, bright, red berry character. Medium bodied with lots of ripe black, red and white cherries, earth and licorice, the wine is bright, fresh and spicy. Light, bright,fresh and dominated by spicy red berries, this a bit on the lean, traditional side of the style range.